What Customer Survey Questions Should I Use? 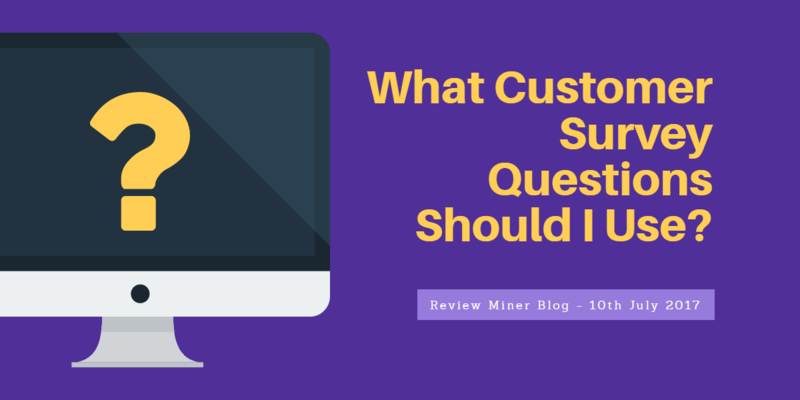 In part one we discussed the importance of precisely when you ask for customer feedback, in part two we’ll look at what goes into great customer survey questions. A mistake that’s frequently made by business owners and marketing professionals when they are soliciting a review of their business’ service is simply asking too many questions. Just like getting the timing wrong, putting a huge list of questions to your customers becomes irksome. Even clients who have felt positively about the entire sales process can end up leaving you a downbeat review if you go on and on drilling down into every aspect of your business. It is worth bearing in mind, after all, that some questions you might ask are going to be entirely irrelevant to certain customers depending on why they have turned to your business in the first place. For instance, if you sell food, then why would you ask a question about how well the food was heated if the customer in question has only bought a sandwich? This example brings us neatly to the subject of appropriateness. If your line of questioning in an online review form is too generic, then it can often lead people filling them in with few genuine insights. This means that the entire process feels too robotic and impersonal. Not all of your customers are the same, nor do they come to you for the same reasons, so your questions should be tailored to an extent. Perhaps you offer a tiered service, for example. Ask yourself why a customer who has opted for a ‘bronze level’ of service would want to answer questions about your ‘gold’ or ‘premium level’ services. They have already opted out of them, after all. Equally, if you want specific feedback about a product or service that your company offers, then target your questions about these things to clients who have actually tried them out. This is particularly important when you have something new or that is in development because some clients will be confused about reviewing an aspect of your business they may never have heard of and offer you a poor review as a consequence. Of course, in some cases tailoring your review questions can be automated, depending on the sort of business you run. Online companies who have their sales channels operate entirely through software should be able to narrow down their questions following a sale so that they are appropriate to the type of customer, for example based on what has been bought, whether they are located overseas or whether they have bought something for themselves or somebody else. Although intelligent software will allow for this sort of bespoke questioning, it is not really practical for bricks and mortar business who are seeking a testimonial or review in a face-to-face situation. When you ask for customers to review you, limit the number of questions you ask. Okay, there is no hard and fast rule for the appropriate number of questions. Again, it will depend on your business. Ten or even a dozen questions might be appropriate if you are engaged in selling a top end or luxury product – such as an ocean going yacht, for example – with lots of options and tiers to the sales process. On the other hand, few people will want to respond to more than two or three questions if they have purchased an everyday consumer or household item from you where a lower level of service would be expected. Either way, it is important to keep an upper limit on the number of questions you ask in mind. This is essential even if you want to capture lots of customer insights in order to improve your service offering going forwards. Too much questioning and the process becomes a hassle for clients and their goodwill will soon burn up. Four or five fully considered questions put at the right time are preferable to ten or so even if you might gain more detailed analysis because most clients get fed up with a review procedure that seemingly never ends. When putting together your list of questions, it is essential that you use everyday language that all of your clients will be able to understand without re-reading. Technical jargon and specialist terminology may be a requirement depending on the nature of your business, but explain any acronyms you might use as you go. Questions should not be too wordy and therefore you should always opt for a shorter form of words over a longer form even if this means you are not able to nuance the questioning in the exact way you would like. Your questions should focus on the customer experience and prompt them to think about the way in which they have been handled from the start to the end of the process. Don’t ask pie-in-the-sky questions about your brand personality or things that are potentially controversial. Simplicity always wins when it comes to soliciting a good review from a customer who feels at ease with the process. Closed questions give you little room for manoeuvre if there is any negativity. For instance, if you ask whether a customer approves of the way they have been greeted, then you are only likely to elicit a yes or no response. Instead, you ought to put the question more like, “How would you rate the way in which you were greeted?” Even if a customer thinks you could improve in this area, they are more likely to give you a balanced review which reflect the good things as well as the bad. Secondly, some customer survey questions are better at encouraging helpful feedback which you can really use to improve in the future. For instance, asking “Why did you choose us?” is an open question which focuses the customer’s response onto their positive engagement of your business in the first place. Want to find out our top tips for getting better online reviews? 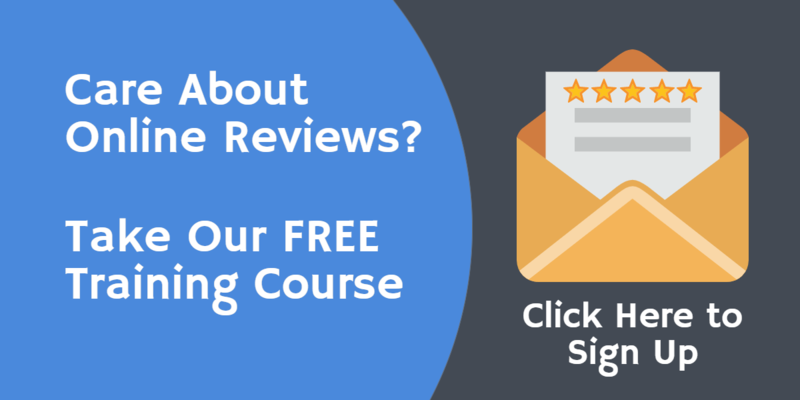 Take a look at our free business review training course – 5 Steps To 5 Stars. [Infographic] The hidden harms of drug and alcohol misuse in the workplace. Do Online Reviews Help With Search Engine Optimization? © 2019 Review Miner. All Rights Reserved.